Professional. Reliable. 45 Years Experience. Coast Valley Moving & Storage has been providing household storage services to the communities of Southern California for more than four decades! We are known for our efficiency and dedication to customer service – that’s why our customers come back time and time again. 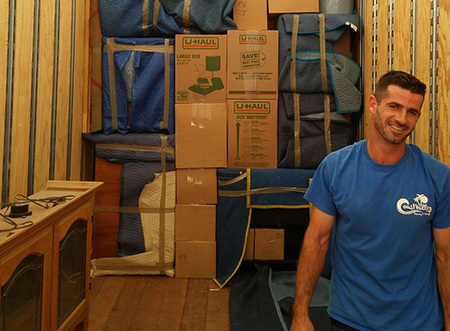 As experienced residential movers, we coordinate your storage as part of your move – or any time! We can store your items before, during and after a move in our containerized warehouses, meaning your belonging will be placed separately in their own storage container – protected and secure from any outside elements. We’ll even wrap any upholstered furniture you bring to us to ensure you get it back exactly as you brought it in. Our state-of-the-art facility is climate controlled to prevent humidity damage. We also have sprinklers and a security system in place to alert us if anything goes amiss within the facility. For more information on the household storage services we offer at Coast Valley, please call our toll-free number! You’ll speak with a friendly and knowledgeable Customer Support Rep who will answer any questions you may have. You may also fill out the Quick Quote Form located at the top of this page to receive your FREE, no-obligation estimate today!